Every institution, whether religious or secular, has a defining moment in its initial efforts for growth. For the Unification Church the 7-city Day of Hope tour was one such defining moment. When we understand what foundation we stand on, we are more able to value how far we've come. Here, Professor Mike Mickler describes some of the events that shaped our movement in the '70's. Reverend Sun Myung Moon conducted four separate "Day of Hope" speaking tours in America between 1972-74: an initial 7-city tour which opened at Lincoln Center in New York City on February 3, 1972 and concluded in Berkeley, California on March 11th; a 21-city tour under the banner "Christianity in Crisis: New Hope- that began at New York's Carnegie Hall on October 1, 1973 and concluded on January 29, 1974 in Los Angeles; a 32-city tour under the theme "The New Future of Christianity" which ran from February to April, 1974; and a concluding 8-city tour which opened at New York's Madison Square Garden on September 18, 1974 and finished in Los Angeles in late December. There are at least six reasons why the Day of Hope speaking tours were a defining moment for the Unification tradition in America. First, they marked the beginning of a unified national movement. Prior to this, the movement consisted of regional jurisdictions and independent missionary groupings. 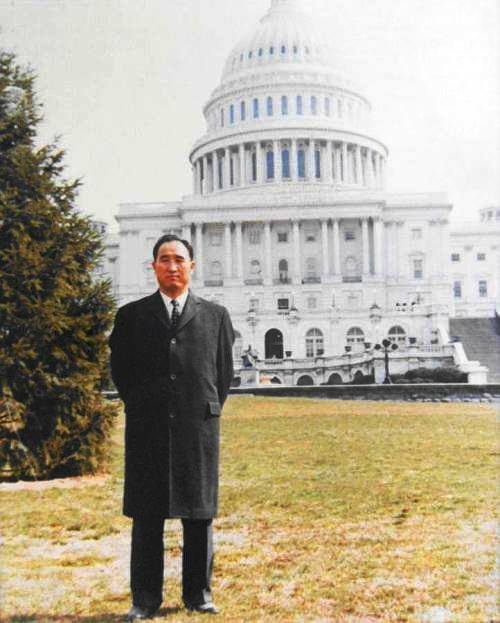 Although Young Oon Kim claimed to have a national headquarters in Washington, D.C., this was not recognized by David Kim's or Sang Ik Choi's groups. In reality, the American movement was factionalized with disagreements over fundamental issues of organization, strategy and even doctrine. The Day of Hope campaigns were the first undertaking of the entire movement. In many ways, they signified the birth of the Unification Church in America. They played a unitive role parallel to that of the First Great Awakening in American history, which served to knit the disparate colonies together and to solidify a common identity. Second, the Day of Hope tours indicated the central role Reverend Moon would play in the American movement. He was the only one with enough authority to meld the conflicting missionary groups together. He also provided a central focus and direction. There was still organization, perhaps even more than before, as Reverend Moon instituted state representatives, Itinerant Workers (IWs), mobile unit commanders and the like, in addition to existing center directors. However, this was an integrated, task- and goal-oriented organization that focused on results. Third, the Day of Hope tours altered the nature of the movement. Previously, members had been sporadically active and at times rather immobilized. Many held jobs and devoted only off-hours to the movement. The Day of Hope tours changed all this. The Unification Church became an energetic, high-demand, action-oriented movement that required full-time commitment. This stimulated numerical growth. A ready supply of alienated youth disillusioned both with American society and with the counterculture of the 1960s also enhanced membership and solidarity. In July 1973, the Director's Newsletter reported that the number of new members who joined to date was four times that for the same period the previous year. In December 1974, at the close of the Day of Hope era in the United States, HSA-UWC President Neil Salonen reported that from "a handful of members -- less than 300" three years previously, the movement had "multiplied ten times, reaching almost three thousand by the end of this month." The Day of Hope tours also spawned new organizations and initiatives. The most important of these were the One World Crusade (OWC) -- later the International One World Crusade (IOWC), which fueled the movement's evangelistic advance during the period, and mobile fundraising teams (MFT), which became a major means of financial support. Fourth, the Day of Hope tours helped catapult the movement into the public limelight. During the 1960s, the movement went unnoticed, and there was the danger of it never becoming noticed if it continued to proceed in the same way. The Day of Hope Tours changed all that. Publicity that the movement garnered wasn't so much due to the content of its tour message, which, apart from the speech on "The New Future of Christianity," was relatively conventional. It rather was due to the movement's aggressiveness. The movement actively sought proclamations of welcome and keys to cities, going straight to government elites. Many of the nation's top scientists were invited to an annual International Conference on the Unity of the Sciences (ICUS) beginning in 1972. High-profile land purchases in Tarrytown, New York and the financial cost of the Day of Hope Tours that church spokespersons released ($400,000 for the 21-city tour, $200,000 for the 32-city tour, $1,000,000 for the 8-city tour) attracted notice, as did the seemingly ubiquitous presence of members on the streets. Fifth, the Day of Hope tours contributed to the development of the worldwide movement. Just as with the incorporation of HSA-UWC, this was another "first." Reverend Moon had never spoken publicly in either Korea or Japan. Thus, the birth of the U.S. movement coincided with a new phase in his worldwide ministry. Up to that point, much of the movement's development had been internal. In the United States, through the Day of Hope tours, Reverend Moon began the external, public development of the movement. The tour also demonstrated the power and influence of the U.S. and by extension of the American movement. It was on the foundation of the success of the Day of Hope tours in America and the initial receptivity of the general public that Reverend Moon conducted the same tours in Korea and Japan. In other words, success in the U.S. provided credibility and leverage for activities elsewhere. Films and testimonies showing acceptance in the U.S. had an important effect on Asian audiences. Sixth, the Day of Hope tours brought overseas missionaries and money to the U.S. There was a sense that the American movement could not pull off the campaigns on its own. Therefore, Reverend Moon called in significant numbers of Japanese and European members, who would play important roles. The intermingling of foreign and domestic members would become an ongoing feature of the Unification tradition in America. Reverend Moon referred to this as a "new Pilgrim movement." On occasion, there were competitions among different national groupings. At times, cross-cultural misunderstandings and tension among the nationalities during the 1970s and beyond hindered development much as friction among the pioneer missionary groups had done during the 1960s.